Once a month, ETSU student Sam Rucker pairs up with the Acoustic Coffeehouse’s Next Door to hold an open microphone comedy night. 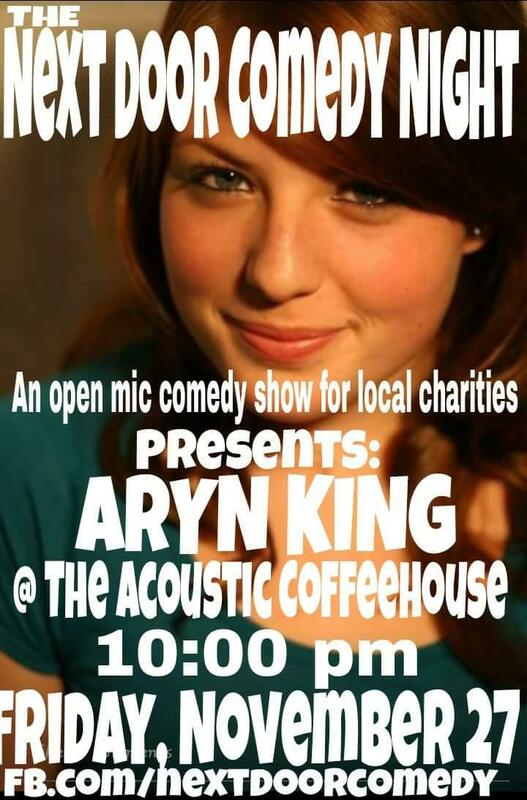 The show is $5 to receive entry and all the proceeds go to a local charity, Break Homeless Service. The show is usually hosted the last Friday of each month, and this month it will show on the Nov. 27 at 10 p.m., the show is expected to last for about an hour and a half. ‘The idea originated with Rucker, and he has been hosting these events for almost two years. “The event is an open microphone comedy show with hired headliners from as far as Knoxville and beyond from time to time,” Rucker said. The show will be located at 415 W. Walnut Street and will begin with Rucker as he welcomes and explains the rules. Youth minister, Andrew Harrison Cox, runs the homeless service. According to Rucker, the charity doesn’t require religious beliefs, it’s purely people based. It is not a competition, but every once in a while Rucker will also incorporate a costume contest. Rucker has always wanted to use comedy to help people.